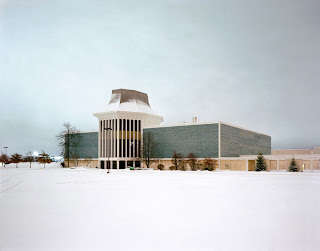 It looks like I'll be post-poning my consideration of preferable pulp until Tuesday: tonight our family drives to Kitchener-Waterloo, where my older daughter will be playing in a ringette tournament. If you're concerned because you recall my feelings when I first encountered the sport, I assure you the weekend should be a lot of fun. We'll be connecting with family, including grandparents. Apparently Adams (then known as Donald James Yarmy) lied about his age and joined the Marines at 16, was wounded at Guadalcanal, contracted malaria and nearly died from it. He was the only member of his platoon to survive the war, and he later became a drill instructor. This guy definitely, as they say, had snakes in his basket. While Get Smart was in its hay-day, Adams turned down a salary increase in favour of 33% of the show's profits -- an incredibly shrewd move for the time (consider the original cast of Star Trek, and how burned they felt when they saw their goofy show take off in syndication, years after they'd spent the money they'd made from the job). Also: In October of 2006 comedian Bob Newhart (appearing on Larry King Live) credited Adams with his entry in stand-up comedy. At first, Newhart tried his hand as a comedy writer specifically developing a routine with Adams in mind. He then sought out Adams and ran the routine by him, only to be told the material wasn't worthy. A few days later when he saw Adams perform the exact same routine, verbatim, on "The Tonight Show" he decided he might as well try his hand as a performer with his own material. Sounds like the war proved to be a good training ground for show-biz. Why Do I (Still) Read (One or Two) Movie Reviews (On The Odd Occasion)? In my final year as a university undergrad, I took a course titled “The Birth of Humanism” — a course in Classical Thought, basically. It was a depressingly tiny class (predominantly male, in a student body that was predominantly female), shoved to the far corner of the University campus. But the prof was young and energetic, and threw himself into the near-hopeless task of generating and holding undergrad interest in Classic Greek & Roman studies. The prof knew that if he valued his job, he had to keep every last woman in the class to the end of the term, so he gently massaged his rhetoric to maintain interest in “the virtuous MAN,” etc. But when we finally approached Plato's Republic, it was clear this dialogue which famously promotes a benign, fascist state was going to be a tough sell to students adrift in a tidal wave of Gender Studies and Reader Response Theory. His pitch: Plato wasn't discussing matters of State, so much as he was discussing The State of the Individual. In other words, the Polis was a metaphor for the individual, and the individual who wants to remain healthy, strong and just, had bettter limber up her philosophical chops. Call it A Republic of One, if you will. I don't know how many of us bought into his premise (I didn't), but no-one quit the class because they'd finally had a bellyful of masculine ideology. And the more I thought about it, the more I appreciated my prof's pitch. After all, “I am large, I contain multitudes” — and if those multitudes are going to generate (for starters) love, joy, peace, patience, kindness and gentleness, their contradictions will have to be marshalled with a measure of “fascist” self-control. From Plato to Walt Whitman to Louise Rosenblatt to the Apostle Paul — you'd think a bored blogger wouldn't have to reach quite so desperately to explain the appeal of Little Miss Sunshine, but after reading these jokers exchange their “Like, hellooos”, it appears a little desperation is in order. Little Miss Sunshine is a freakin' brilliant movie because it's not about a family — it's about ME. That wheezing, farting, noisy yellow van IS ME. That van is me, and it's still carrying the corpse of the first citizen to die in my personal polis: a self-indulgent horndog who honestly thought he'd be sexually attractive into his old age. That van is me, and the only way I'm going to stay alive is if everyone in it rallies round the cheerful little dumpling in the back, who just wants to be appreciated for the beauty that she is. That's why I love the movie, and that's why it's one of the precious few movies to come out in the last year that's worth more than a passing glance. Gasp, pant, wheeze ... alright. So, no: I'm reading fewer and fewer film critics. I do still tune in to The New Yorker (check out how David Denby ponders the mystery of Jude Law's peculiar lack of appeal — and nails it), and I make a point of seeking out David Edelstein. But that's it, really. I certainly don't waste time on Canadian (read: "The Globe & Mail", or “Toronto”) critics — well, except for Geoff Pevere on occasion. Which gets me wondering: how is it Toronto can pull together one of the world's most prestigious film festivals, without producing one single vigorous film critic? “We read to know we’re not alone.” This sentiment has been attributed to C.S. Lewis, but I very much doubt those are his words. It’s a modern prescription (the novel) for a modern condition (the loneliness of crowds), and Lewis was to his dying day one of Modernity’s noisiest discontents. I think the closest this quote came to the Bard of Narnia was in the movie Shadowlands, when Anthony Hopkins’ Lewis hears these words from a former student. But no matter; it serves as a good launching point for my purposes. Why do I read novels? Albert Camus said the central problem for philosophy was the question of suicide; John Gardner insisted that good fiction should answer that question and delay the suicidal hand. Well-wrought fiction can have uncommon comforting and even therapeutic powers; novels especially so, because of the breadth and depth of their fictive dream. They reach out and coax the reader into the middle ground — our common humanity. And that is where I like to be. Why do I read essays? Did I say I avoid philosophy and theology? That's inaccurate. It’s unusual of me to read an entire book of philosophy or theology — or theory of any stripe — from beginning to end. There are a few exceptions to this rule: I’ve already noted Camus and Gardner, and I’ll throw in John Carey and Northrop Frye while I’m at it (re: Frye, I’m old enough to have seen him in person, and I have to confess I never thought his star would fade so rapidly, even within an academia delirious with po-mo rhetoric. Shows to go ya, I guess). But on any given week, I will have read over a dozen essays in as many fields. Dogmatic essays are a manageable annoyance. I have a great dislike of polemics, especially as I get older. They can chip away at you like an unremitting hail-storm — or (more likely) toughen a person’s hide to the point of impenetrability. The best essays are like the best people: patient and long-suffering, with a proven sense of humor whose target is usually their own reliable folly. Those essays can sustain a reader like a gentle rain does a sailor in a lifeboat. They might even alter his course for the better. Why do I read book reviews? Various reasons: Saves me reading the book; the reviewer is someone with an identifiable point of view I’m keen to hear on the given subject; the reviewer has had a long-standing beef with the author, and I can’t wait to see her rip him a new one; the reviews give me a general idea of my culture’s zeitgeist re: (insert topic — the Middle East, art & infamy, celebrity, etc. — here). I’d be curious to read some industry stats, re: Canadian publishing and sales. My personal, subjective sense of the industry, based solely on the feeling in my gut occasionally emboldened by an extra dram of whisky, is the only people who buy titles after reading a G&MBR rave are the people tied directly to the industry: people who know people who write for these very people. When I walk through just about any book store, I get the feeling the whole enterprise is teetering on the verge of a spectacular collapse. Remainders are steadily taking over the floor in your local big box outlet, chiefly because these same people overstocked the book at the cover price a year earlier. Then they shipped it back to the publisher, who offloaded it to a remainder house, who sold it back to the box store for pennies on the dollar. Someone tell me who paid the truck driver to cart all these flats of paper back and forth, and where’d that money come from? Anyhow, unless you are somehow linked to my sidebar — i.e., I feel like I “know” you, or am in some significant way sympatico with you — odds are I won’t read your book review. And if I do glance across your review (out of weekly, bleary-eyed Saturday morning habit, say), odds are even better that I won’t take your opinion seriously enough to either buy or avoid said book. Why? Because your essay is probably good enough, but hardly great. And if you don’t blog, you aren't making up the difference. Sorry, but it’s true. Speaking of which, this looks like a nifty read, dunnit? I’ve got mine on order now. Why I read music reviews. I’m trying to think of other things I read, but at this point I’m drawing a blank. In the next day or two I’ll get to why I prefer some kinds of pulp fiction over others. I can't claim that I knew her especially well -- I'm not even sure I spelled her name right. This picture of her is snipped from a larger shot of her table at my reading, last month. And it was her table: she brought her husband, as well as her brother and his wife to hear me read, buy my book, and share drinks and conversation with a bunch of us. I sat at their table for quite a while. I was thrilled they were there, and it was all Dianne's doing. They were a real pleasure to be with: generous conversationalists with a wide range of experiences. Which figures, because that's how I think of Dianne. I first met her at swimming lessons, the summer before last. Her son, Josh, shared an instructor with my younger daughter, Lucy. The lessons were held at a local back yard pool during weekdays. Typically enough, I was the only man/father in the company of women/mothers. It can be a little tricky for me to initiate conversations in this environment; it's a high privilege I in no way earned, so I do tend to squirm when explaining my status as stay-home parent. 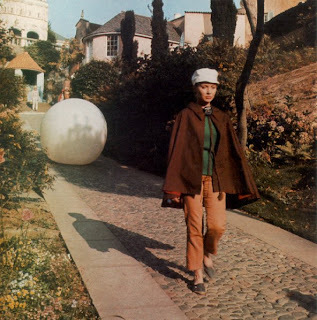 But I quickly learned Dianne was a person in the habit of thinking "outside the envelope". And she was very easy to converse with. I last saw her a week ago, Thursday. She was tooling around town in the family car. She gave me and Lucy her usual energetic wave and happy smile. I've never seen cancer work this fast. She was diagnosed in the summer, and the last two months, it really felt like she was being torn away from her community, to say nothing of her son and husband. Now we are all here for Josh and Bob. Now we all miss Dianne. "Avidly materialistic and possessive," you say? Guilty as charged. I'm a sucker for a deal, particularly if the item in question is something I've had my eye on for some time. 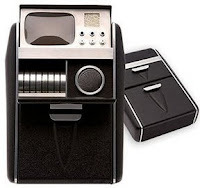 The most recent example of this is the DVD set of Star Trek: The Original Series. I balked at the price when the boxed set came out five years ago: it hovered around the $300 (Canadian) mark, and even though I'd passed on Paramount's earlier "Star Trek DVD subscription program" ($25 got you two episodes per DVD; multiply that by 40 DVDs and it looks like someone at Paramount bought themselves a new ivory backscratcher) I decided to hold onto my money until the day came when the set sold for less than 50% of that. ...I'd say they bear a closer resemblance to an enormous Kinder Egg. Then there's the compact accordion case for the discs, which makes me realize just how glaring and ungainly these large, bright, plastic boxes will look if I shelve them alongside my other DVDs, so ... off to the basement they go. Waste of money, waste of plastic, waste of space. That's future thinking! No, not Warren Buffett: Jimmy Buffett. Jimmy -- 60 years old, as of Christmas -- is an easy entertainer to enjoy (the Boomers' own Andy Williams, with the Bahamas standing in as Branson, MO). And if I say he's clearly a shrewd manager of his own image, I am in no way implying he's anything significantly other than what he appears to be. But here's my question: who's the person holding his purse-strings? My guess is Buffett (like Williams) has a good head for financial figures. His particular corner of the entertainment industry is crowded with inept, one-note trumpet players who indulged themselves into obscurity; if any one of them had practised just a little fiscal restraint, they could have avoided Reality TV and retired with some dignity. Even entertainers who reach the top and stay there have moments of financial embarrassment. U2, Elvis Costello and Sting have had to wash their hands of shady finance gurus. And does anyone remember Planet Hollywood? The Jimmy Buffett industry, however, is one of those rare, sealed packages that doesn't leak. He makes large claims about taking it easy, and while a man of his means probably knows how to relax, he's pretty industrious all the same -- if you're penning books and burning CDs while "operating a chain of seaside bars", chances are you're not in the habit of suffering rum hangovers. I get the impression Buffett is a little like Walt Disney, only happier. So who's in his finance posse? Whoever it is, Parrotheads could stand to hoist a glass in his (or her?) honor. The money-minder has done for Buffett what money-minders should do for creative types: kept him flush and productive, and happy to keep going. Cheers to that. I'm slowly regaining my balance, clawing my way back from "coughing up a lung" mode to "composing something of interest" mode. I searched high and low for something to comment on, and found my muse in Searchie (so far as I'm concerned, Ms. LaFemme, a comparison to Siouxsie Sioux, Peepshow-era, is indeed a compliment (said album being my fave Siouxsie effort)). I've only once been mistaken for a celebrity, and that was as I was leaving Germany, of all places: the woman who took my boarding pass confused me with a star in one of the national soap operas. I can only assume this is a flattering comparison, because I've seen no pictures of the actor in question. The girl asked me a few questions, and quickly realised her error when she heard me butcher her native tongue in response. Darn it all, but if I'd only been more fluent I might have conned my way into a first-class return to Canada. 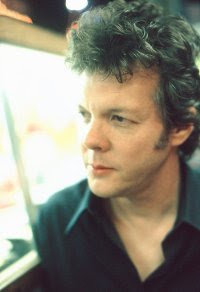 The only North American celeb comparison I've received is with folk-rocker Steve Forbert. That was 15 years ago, when my hair fell past my shirt-collar and I kept a clean chin -- no-one would think to make the comparison now, when my scalp and my chin sport hair growth that's more or less the same length. And if I'm not mistaken, I've probably got a few inches' height advantage on Mr. Forbert. But he's a smart-looking cad, and quite the talent to boot, so if you feel compelled to point out the similarities, I'm fine with that (I wouldn't deign to speak on Mr. Forbert's behalf). "Hmm. Maybe I'm not a number. Maybe I am a free man!!" I still have no clue as to why the pilfered corporate images I originally put up on posting #491 disappeared, one at a time. Nothing like it has happened since. Was there a faulty memory function at Google HQ? There aren't too many perks to being laid low by a nasty bug, but spending time between the covers of a good book certainly qualifies. "Sick" books shouldn't be too convoluted or conceptual. They should have direct appeal, and they shouldn't be too depressing. E.L. Doctorow's Sweet Land Stories fits the bill perfectly. My buzzing, dripping noggin isn't quite up to the task of composing a proper review for this book (or Doctorow, whose prose blows hot and cold for me). I enjoyed all the stories, but was especially tickled by the first, "A House On The Plains". What a ghastly, chilling Poe-like treat! My foggy condition probably helped, but Doctorow kept me guessing as to what this gruesome mother-son duo were up to, and surprised me with every nasty revelation. A delerious treat, for a delerious reader. After whining about my pilfered images getting blocked by Google© (including the Ubuntu trademark, which is especially ironic), it's a little disconcerting to wake up and see my re-posting of the infringing images completely intact. I was so convinced we had entered a new, stricter era of blogging, that I toiled all afternoon on artistic representations of the images in question. I've gone ahead and put them up on my original posting. Now, please understand that I was using an Image Manipulation Program (GIMP), and not a Paintbox-type application. What I've tried to do is take the original commercial images and render them in a way that is subtly, but markedly different, thus putting me in the clear with the Google© Gestapo©™. Click here, and see if you can spot the changes. ...all of which are MIA less than 24 hours later. Paste Magazine's cover is still up (for the moment), but the others are gone. I'm surprised, given how I'm basically shilling -- free of charge -- for the lot of them (alright, so I was a little hard on geez, but still). Go figure. I've taken several cracks at an official New Year's Entry, but deleted them all. They sounded like the product of a stuffed head, trying vainly to be taken seriously. That's because my head is indeed very stuffed. My older daughter began the holidays with a bronchial virus. The rest of us tried to dodge the proverbial bullet, but in fact there was no bullet to dodge: each sneeze was a blunderbuss fired at critically close range, and no-one was going to escape the viral enfilade. So Happy New Year, one and all, even though January is one bonehead month to "begin" anything, nevermind a year. So far as I'm concerned, the new year begins in Autumn, in line with the new academic year, or Rosh Hashanah. And I don't bother with resolutions, because my temperament has a resolve of its own. Setting my primary focus, on the other hand, is something I could probably benefit from. More later ... maybe ... if I can clear my head enough to focus. Below are some odds and sods that I've enjoyed from the year that was. Ubuntu Linux: I took the Linux challenge with my dumpster computer, after Windows froze up once too often. Red Hat, my original Linux OS, ran alright. But I had grown soft from prolonged exposure to Windows, and had a difficult time reintroducing myself to the codeline. Then my brother came by and installed Ubuntu 4. Whoah ... now we were cooking with gas! Since then I've returned said computer to the dumpster (cracked motherboard, and a few other problems) and upgraded to Ubuntu 6.06: "Dapper Drake". Ubuntu's synaptec package is what makes the OS so very user friendly -- anything you need to install can be found quickly and efficiently. Still, as with any OS, Ubuntu is not entirely self-explanatory. But there are resources that make the learning curve not quite so steep as all that, including these two books. They get you up and running, and will likely even inject a little confidence to get you experimenting with codelines of your own. So, overall the Linux experience has been a treat, with only one exception: Open Office. It's shabby of me to complain about something *free* -- and overall the Open Office applications work splendidly. But the folks running the message boards might want to take note: if you find yourself replying to a query by saying, "We have addressed this so-called 'problem' many, many times," I would suggest that you in fact have a genuine problem on your hands: namely a program that is profoundly counter-intuitive to the average user. Sure, it'd be swell if everyone thought the way programmers do. But we don't, so let's see if, in the next Ooo generation, we can't meet a little closer to the middle. 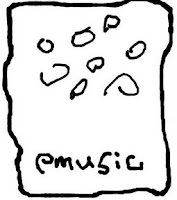 eMusic: it ain't free, but it's certainly as cheap as borscht. And the artists are actually getting paid, which is important. I've made some spectacular personal discoveries through eMusic, including Janiva Magness, James McMurtry, Dianne Reeves and The Reverend Horton Heat. I gave a few assorted Christmas collections a try, and didn't feel any of the usual residual disappointment for having been taken for a chump, because this time it cost me precious little money and took up very little of my energy. As Kool-Aid Man likes to say, "It's just pennies per glass, so how can you lose?" Magazines: I'm pleased to see that Paste has become a force to be reckoned with. 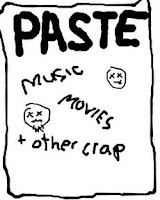 If you're old enough to have fond memories of reading Rolling Stone Magazine, you'll want to give Paste a look. 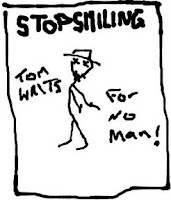 Here are worthy profiles of Tom Waits, The Flaming Lips and Michelle Shocked, for starters. 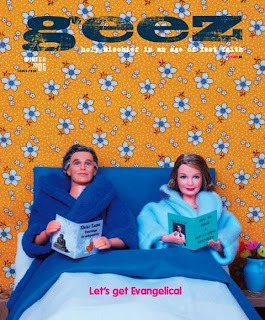 This year saw the introduction of geez magazine ("holy mischief in an age of fast faith"). I kinda-sorta know some of the people involved; I really like them, so I'd very much like to see their enterprise succeed. 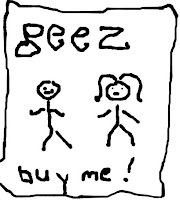 But speaking frankly as a reader, geez has been a mostly ho-hum experience. I'm only going to buy so many issues advocating "living simply" before I take the advice to heart and stop buying the magazine altogether. The kids in charge of the ship are, I think, genuinely interesting; I have no doubt they know interesting people who know other interesting people. So here's my nickel's worth of advice: waste more paper on interviews. Your readers will thank you for it now, and the Lord will thank you for it later. But the brightest spot on the magazine rack this year has been Stop Smiling. If The Believer and N+1 are the printed equivalent of the your old school's black-clad-smarty-pants' clique, Stop Smiling aspires to carry the torch of LIFE. Boomers get their due with tributes to Hunter Thompson and Lou Reed; their grandkids get meaty scraps like interviews with the RZA. Well ... more likely the old-timers are reading these interviews to figure out what's up with kids these days, but still: good on the Stop Smiling crew, say I. A little tip of the hat to America's Educated Middle is exactly what magazine publishers ought to be doing, and so far as I can see, Stop Smiling is the only rag out there aspiring to the job. Twelve Blackfeet Stories, by Mary Scriver. Her blog rates as a daily must-read. I can't wait to read the stories — her words deserve the permanence of paper and ink. Infidelities: Stories of War & Lust, by Josip Novakovich. Mr. Novakovich (yet another fine introduction, courtesy of that purveyor of fine prose Darko V.) is a master at extending the generous invitation. I'm also looking forward to giving JN's Fiction Writer's Workshop a spin. Blind Night by Cordelia Strube. I'd love to see this woman become as big as Barbara Kingsolver. There's a host more, of course. I regularly raid the remainder tables of book stores large and small, and have got quite the heap of bound paper holding down a corner of my office floor. Stay tuned.